Axed SARS Commissioner Tom Moyane's application to have his dismissal overturned in the North Gauteng High Court was dismissed on Tuesday morning. In a damning judgment, Judge Hans Fabricius cut Moyane's court bid down to size, dismissing his application with costs. 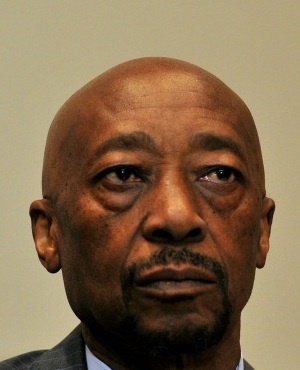 Moyane had mounted a legal battle challenging the powers of the Nugent Commission of Inquiry which was tasked with investigating administrative governance at the SA Revenue Service (SARS). It was chaired by Judge Robert Nugent. The Commission's interim report recommended that President Cyril Ramaphosa sack Moyane. Ramaphosa later acted on this recommendation and fired Moyane in November. The Commission's final report is expected on Friday. Moyane had also asked the court to interdict Ramaphosa from advertising or filling his post, which has since been occupied by Mark Kingon in an acting capacity. Fabricius was scathing in his judgment, calling Moyane's conduct in the application "abominable" and "vexatious". 1. "It is clear from my judgment, that the conduct of (Moyane) in these proceedings is particularly reprehensible. It is vexatious and abusive. Both the office of the President and the third respondent (Judge Robert Nugent) have been attacked, insulted and defamed without any reasonable cause. Allegations impugning their integrity and character have been made regardless of the objective facts." 2. "The national interest far outweighs the narrow financial interests of (Moyane)." 3. "No cause of action has been made out for interim relief and the whole of the application is an abuse of the process of this court." 4. "I have read the interim report of the Commission and insofar as it is necessary, I must say that I agree with its conclusions that led the President to ultimately dismiss (Moyane). In particular, I agree with its summary and I agree with the absolute need to remedy this disaster on an urgent basis." 5. "(Moyane) has no legal interest in the content of the final report." 6. "(Moyane) has failed to establish a prima facie right to set aside ... the President's acceptance of the SARS Commission's recommendation since: The Commission was lawfully established and acted within is terms of reference, the interim report was lawfully issued, the President was empowered to remove (Moyane)." 7. "The balance of convenience overwhelmingly favours the refusal of interim relief in order that the Commission complete its investigations and report its findings to the President, and that the president can proceed to appoint a new commissioner to SARS." Moyane's lawyer Eric Mabuza has indicated that they would study the judgment and may still return to court to challenge it.